A glittery cover and a snuggly chocolate egg hunt make this a lovely Easter treat to share. We wish we could read it all year round. 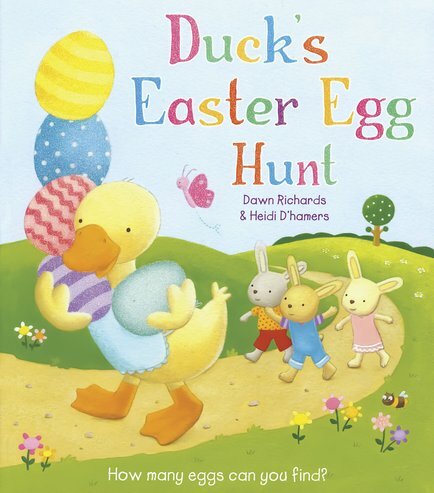 Duck has organised an Easter egg hunt, and she’s really excited. Trouble is, she’s so excited she loses her own precious egg. Oh no! Luckily all her friends (including three cuddly little bunnies) are here to help her find it. And since you’re here, you can help as well. 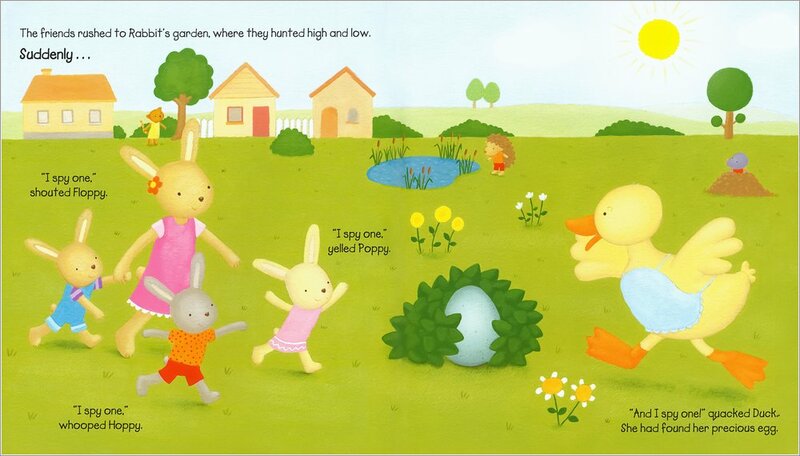 Spot the hidden eggs in this so-cute story, which has the loveliest spring colours and pretty painted eggs.